For over a decade, search engine optimisation has been in Net66’s DNA along with web design. In a 2015 survey from Smart Insights, it accounts for 45% of SME sector spending on digital advertising in the UK. 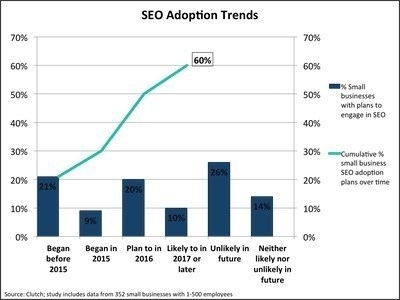 On the other side of the Atlantic Ocean, one in two U.S. small businesses has yet to implement an SEO strategy, according to a survey by Clutch. 73% of the 352 companies surveyed have fewer than ten employees. 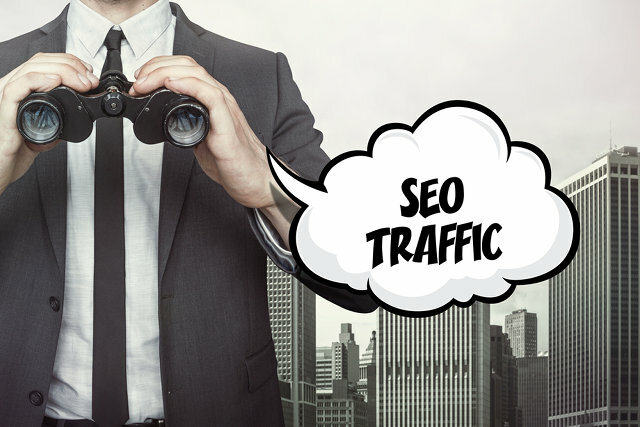 The findings are also encouraging for our industry as paid and organic SEO features at the forefront of many advertising campaigns. In fact, British SME businesses spend more on digital advertising than their American counterparts. Last year, according to The Guardian, it passed the 50% mark outdoing more established channels. This is backed up by figures from the Internet Advertising Bureau, where online advertising has grown by 800% between 2004 and 2014. As the video shows, digital advertising – including search engine optimisation and Google AdWords accounts – accounts for a spend rate of 40 pence in the Pound. Among the few industries to have weathered the storm after 2008’s global financial downturn was ours. Which is why Duane Forrester, Vice President of Bruce Clay Inc. stated that: “Having a website but not doing SEO is like getting into the passenger seat of a car that’s driven by a robot”. In other words, this means leaving your SEO campaign to chance is anathema to effective search engine optimisation campaigns. Instead of being a passenger in a robotic automobile, we at Net66 shall leave you in control. Local SEO and organic search engine optimisation campaigns are our forte, as well as striking websites suitable for all browsers and devices. Everything we do is driven by you, as we go through every step of the way from concept to completion. Whether you wish to beef up an existing site with edifying blog content or a complete SEO campaign, why not talk to us? Drop us a line on 0161 820 5470, or send us an email to sales[at]net66.co.uk. Our staff shall get back to you as soon as possible.